The Revival Fellowship is an international church reviving the original Gospel message. Why does it need reviving? 2000 years of added tradition, empty ceremony, and ongoing corruption of the truth have meant that the original teachings of Christianity in the Bible have often been disregarded or distorted beyond recognition. We believe that the instruction of Jesus to “be born again” or “born of water and of the Spirit” is the instruction to be baptised in water and to be baptised in the Holy Spirit. This baptism in the Holy Spirit, poured out by Jesus Christ upon those who believe upon him, is accompanied by the sign of speaking in tongues, as recorded in the Bible in Acts 2, 10, and 19. As a group, we have been around under the Revival name since around the end of the Second World War, beginning in Australia and New Zealand and since spreading around the world. You can read more about our international Fellowship in our latest newsletters. We believe the gospel of his death, resurrection, and directive to repent, be baptised and receive the Holy Spirit. We believe we are baptised into the Body of Christ (the Church) through the Holy Spirit, with the biblical evidence of speaking in tongues. 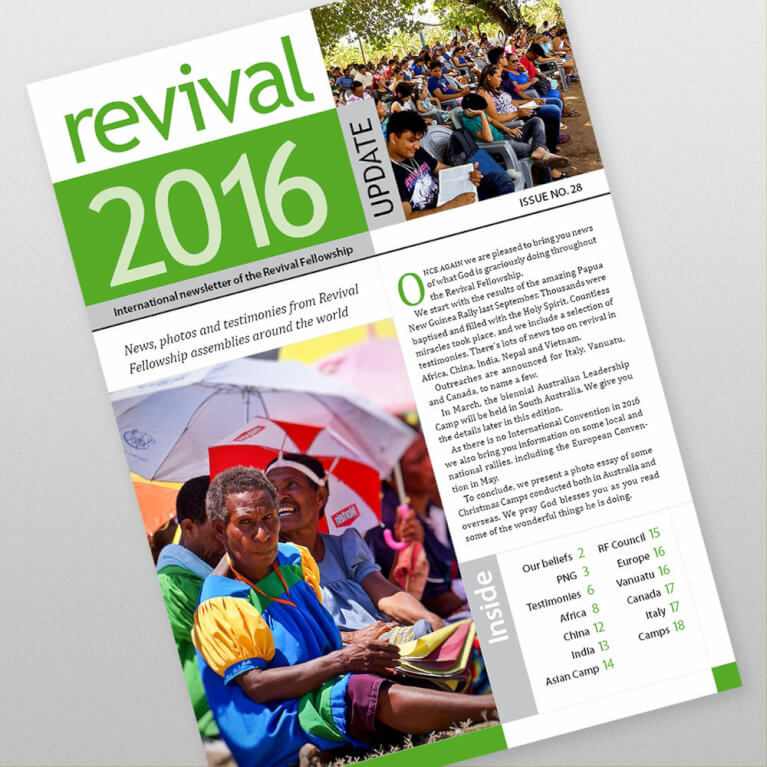 News, photos, and testimonies from Revival Fellowship assemblies around the world.